There's something new in the GamePoint Shop! It's a special tab where you can see Deals. The first deal we're offering is something that'll help you out every day and let's you enjoy more games. You can purchase a special BOOST that lasts for 30 days. That means, you can claim EXTRA Coins each day you log in, that'll add up to 150% more Coins! Make sure to pick up these extra Coins every single day for the maximum bonus! Exciting updates for RoyalDice on your mobile device! A while ago, tablet players had to get used to a score card that was not optimized for their devices. We took this feedback to heart and developed a new score card for all our players, which no longer requires them to scroll down to the buttom part. All scores are now neatly visible next to each other. This no score card has been implemented in normal, tournament and party mode rounds. To complement the new score card, we also reworked the dice throw animation, so it no longer covers any potential scores you would like to fill in. Many browsers are steadily moving towards new technology trends which may result in players having to jump extra hurdles to access and play at GamePoint. 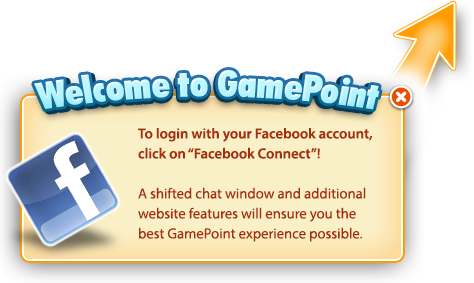 As many of you may know, GamePoint games run on Adobe Flash, and thus to play, you need to enable or give permission to your browsers to run Adobe Flash. However, Chrome's latest browser version (Chrome 69) for example, released during this first week of September, will now require you to re-give this permission every time you open the browser. When you play via Chrome 69, you'll see the below screen. Follow the instructions to Activate Flash and you'll be up and playing in no time. 3. Start playing! Or if you have any question, click on the 'Contact us' from that screen. In order to avoid these hurdles though, GamePoint has been working to look for technology alternatives, such as HTML5 and WebGL and have been actively testing GamePoint Bingo, RoyalDice, CardParty and Klaverjassen with players. Thanks to everyone who has helped out so far and we'll announce when we have any other test opportunities coming up as well.